October | 2016 | HowDoYouLandscape? 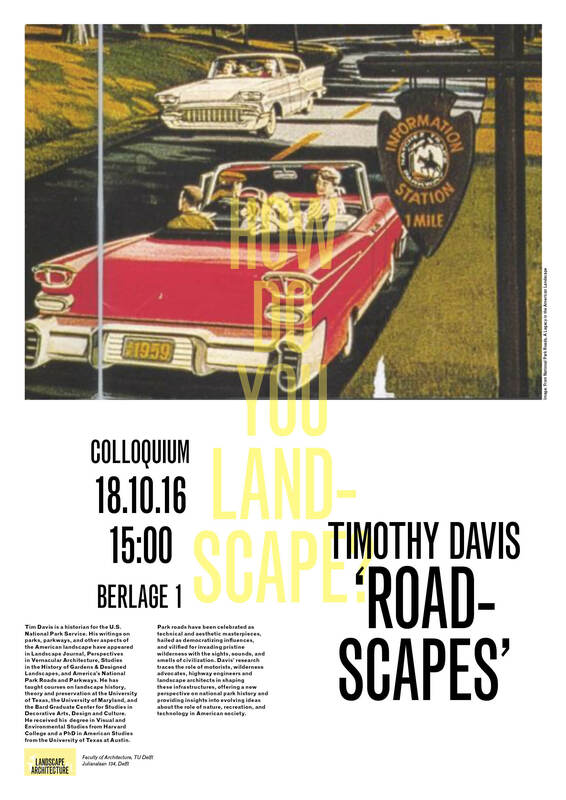 The chair of Landscape Architecture invites you to a new colloquium series in the How-Do-You-Landscape sessions entitled “SCAPES”. 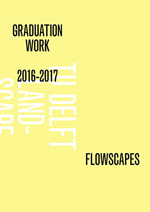 This series focusses on urgent and emerging themes for spatial design, such as disasters and emergencies, co-creation, social justice and new technology. We invite leading academics and practitioners with contrasting or complementary views to speak about their work in an informal setting. The presentations are followed by a discussion chaired by an academic from the faculty. A screening of a film or documentary on the same topic follows up the lectures in the weeks following. The second theme in the new series is Road-Scapes, and explores the past and future role of infrastructure in shaping the conceptions and transformations of natural, rural and urban landscapes. Timothy Davis, architectural historian for the American National Parks Authority will speak about his research on the design of roads in U.S. National Parks and their influence on ideas of nature, recreation and technology in American society. Stefan Bendix, urbanist and founder of Artgineering, will speak on his work on cycle infrastructures as a tool for spatial and socio-economic development in contemporary urban environments. 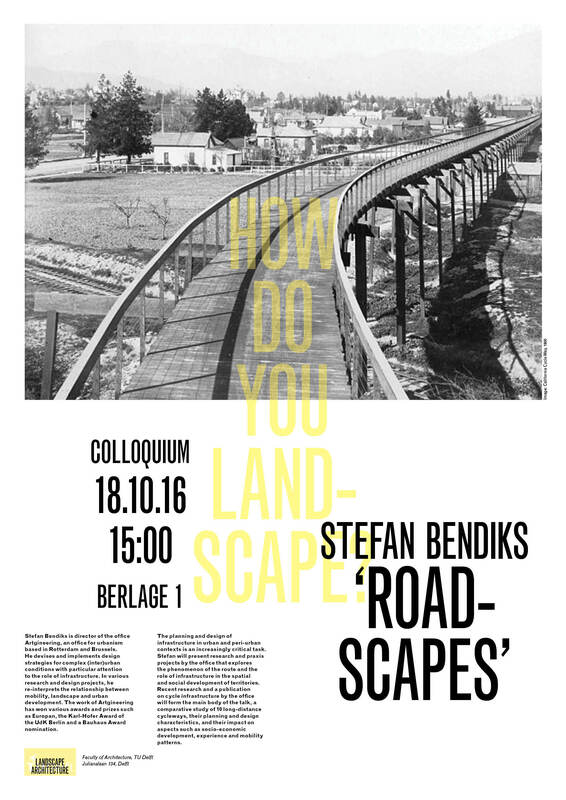 The relationship between past and future infrastructure forms a central thematic for the colloquium, which concludes with a discussion between these two speakers and moderator René van der Velde, associate professor in landscape architecture. 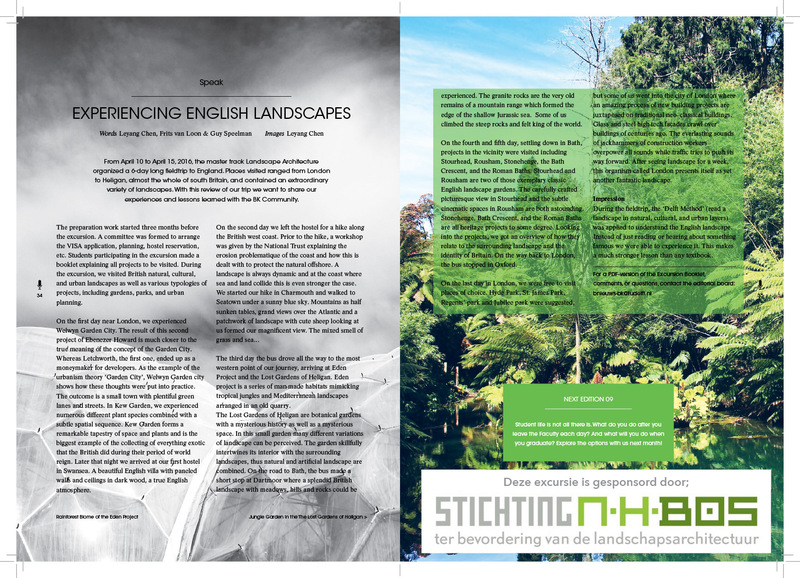 The presentations and discussion are intended to reveal critical themes and principles for landscape architects and urban planners on this most fundamental of spatial design and development instruments. Tim Davis – Park Roads Park roads have been celebrated as technical and aesthetic masterpieces, hailed as democratizing influences, and vilified for invading pristine wilderness with the sights, sounds, and smells of civilization. Davis’ research traces the role of motorists, wilderness advocates, highway engineers and landscape architects in shaping these infrastructures, offering a new perspective on national park history and providing insights into evolving ideas about the role of nature, recreation, and technology in American society. an Studies from the University of Texas at Austin. Stefan Bendiks – Cycle infrastructure The planning and design of infrastructure in urban and peri-urban contexts is an increasingly critical task. Stefan will present research and praxis projects by the office that explores the phenomenon of the route and the role of infrastructure in the spatial and social development of territories. Recent research and a publication on cycle infrastructure by the office will form the main body of the talk, a comparative study of 10 long-distance cycleways, their planning and design characteristics, and their impact on aspects such as socio-economic development, experience and mobility patterns. Stefan Bendiks is director of the office Artgineering, an office for urbanism based in Rotterdam and Brussels. He devises and implements design strategies for complex (inter)urban conditions with particular attention to the role of infrastructure. In various research and design projects, he re-interprets the relationship between mobility, landscape and urban development. The work of Artgineering has won various awards and prizes such as Europan, the Karl-Hofer Award of the UdK Berlin and a Bauhaus Award nomination.